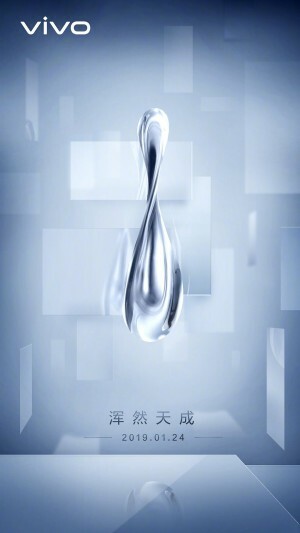 Earlier this month we saw a vivo phone codenamed “Waterdrop” with a unique design that raised quite a few questions. The mystery will be unveiled on January 24 when the company will reveal more, according to a Weibo post on the official vivo profile. This image is as vague as it gets. We don’t know what the actual footprint will be or what specs should we expect. A well-known leakster previously said this new phone will “subvert people’s past perception of smartphones”. There is a real possibility vivo might be revealing just a concept smartphone, similar to the APEX Phone shown at MWC 2018. Later it got a complete makeover and was launched as vivo NEX, so the company might be following suit with this waterdrop solution as well.